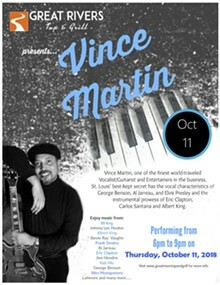 Join us for an amazing performance with Vince Martin and guest. Show starts at 6 p.m. Grab a seat early and enjoy Happy Hour Specials 4-6 p.m.